Easily carry your small Bible, church essentials or tablet in this fully padded neoprene case. Made of a flexible yet strong neoprene fabric that is a pleasure to handle, it fully protects your contents against impact and scratches while providing easy access through a zippered opening. 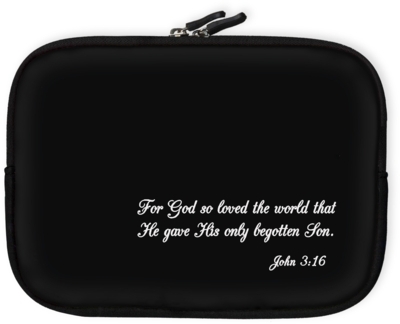 The case accommodates notebooks and tablets up to 20.3cm (8 inches).